Sophisticated. Classic. Timeless. These are the words that have been used to describe the work of renowned Interior Designer, Susan Zises Green. For over 35 years, Susan has earned critical acclaim and a dedicated client base in locations including Manhattan, The Hamptons, Connecticut, Palm Beach, and Nantucket. Using both traditional and contemporary resources, Susan’s elegant taste perfectly blends objects, patterns, and textures to create beautiful and comfortable interiors. She appreciates the significance of decorating with personal pieces, and encourages her clients to integrate their own treasured possessions into their interiors. Since completing her design program at The New York School of Interior Design, Susan has come to be a leader in the interior design industry. One of her most notable and proud accomplishments is having participated eight times in the prestigious Kips Bay Boys & Girls Club Decorator Show House. Susan was also an original panelist, and subsequent moderator of the Designer Panel for the Nantucket Historical Association. For the past five years Susan invited the panelists and moderated the distinguished panel which was part of its annual Antiques and Design Show fundraiser, now called Nantucket by Design. Most recently a project in Palm Beach Florida was awarded the prestigious Ballinger Award and she was acknowledged as the Interior Designer on this restoration project. Susan was also recently awarded the Florida Trust for Historic Preservation Award 2017 for her role in this above-mentioned Palm Beach project. Additionally, Susan’s work has been published in House Beautiful, Architectural Digest, Traditional Home, Veranda, The New York Times, Connecticut Cottages & Gardens, Home & Garden Nantucket, and a number of other publications. 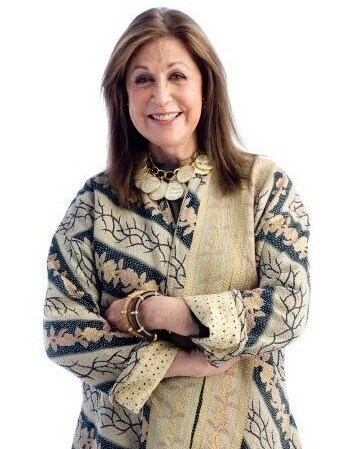 Known for her warm personality and style, Susan can often be found sharing her passion for interior design with the public – lecturing at auction houses, museums and design centers in the U.S. She’s also an avid philanthropist, who serves on the boards of The Garden Conservancy, Kips Bay Boys and Girls Club and New York School of Interior Design. She is also a member of The Decorators Club. When Susan is not in her design office, she is often traveling or tending to her lush gardens at her residences in New York City, Vero Beach or Nantucket Island. Susan feels fortunate to be able to regularly spend time with her family and is a proud grandmother of six young, delightful grandchildren.